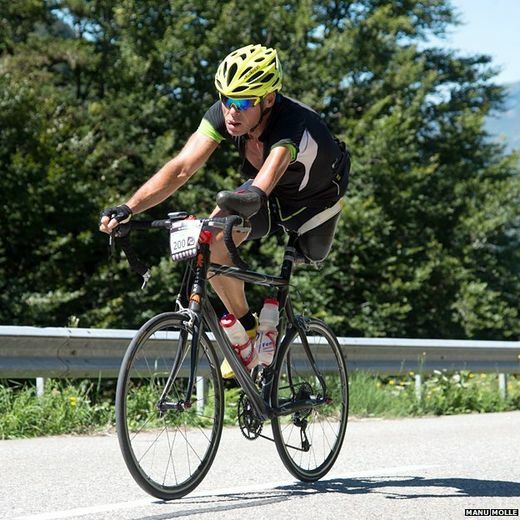 Cycling through the mountains of Europe with only one arm and only one leg. That is pretty awe inspiring in my opinion. I tip my hat to him. He is an inspiration to us all. So just imagine, if he can do it - why not you too? 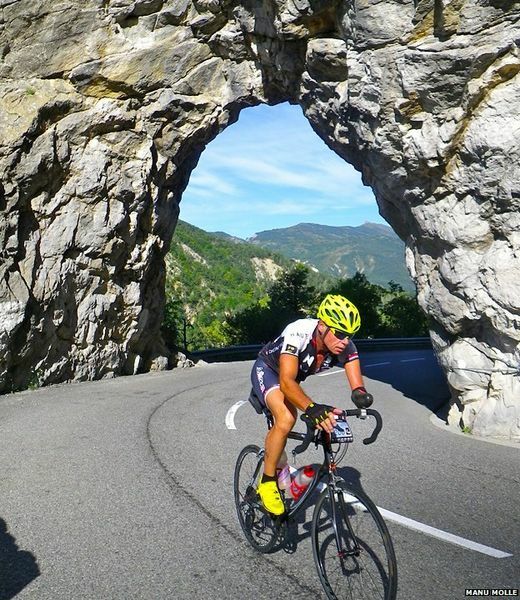 What is stopping you? The world is yours to conquer and the bravery to do so is within you. Sadly I don't have statistics for what percentage of hunters in Canada are bowhunters, but the number might be reasonably similar. A statistic I was able to find was that 5% of Canadians in 2012 were hunters, so doing some math that means there is roughly 1.76 million hunters in Canada. However I found a different source that claimed there was 1.4 million registered hunters in Canada, and the same source said the numbers were declining. (Note - Not all hunters are registered, so it is difficult to get a precise measurement.) However lets assume that the total is approx. 1.5 million and that Canada is similar to the USA also has roughly 20% bowhunters, for a total of approx. 300,000 bowhunters in Canada. More or less. That is a pretty big number when you consider Canada has only one ninth of the population the USA does. It is probably because Canada has a larger percentage of people who live in rural communities, has a lot more wilderness for Canadians to enjoy, where in contrast most of the wilderness in the USA is used for farming and a larger percentage of Americans live in towns and cities. Even with archery being in vogue due to all the movies / TV shows / etc, that has really only seen a huge boost in recreational archery. New archers have not been lining up to apply for a hunting license. The vast majority of new archers just want to do recreational archery, and the scant few new archers who choose to get into bowhunting is quite small and has done little to replace what is essentially "a dying breed" when it comes to the archery world. 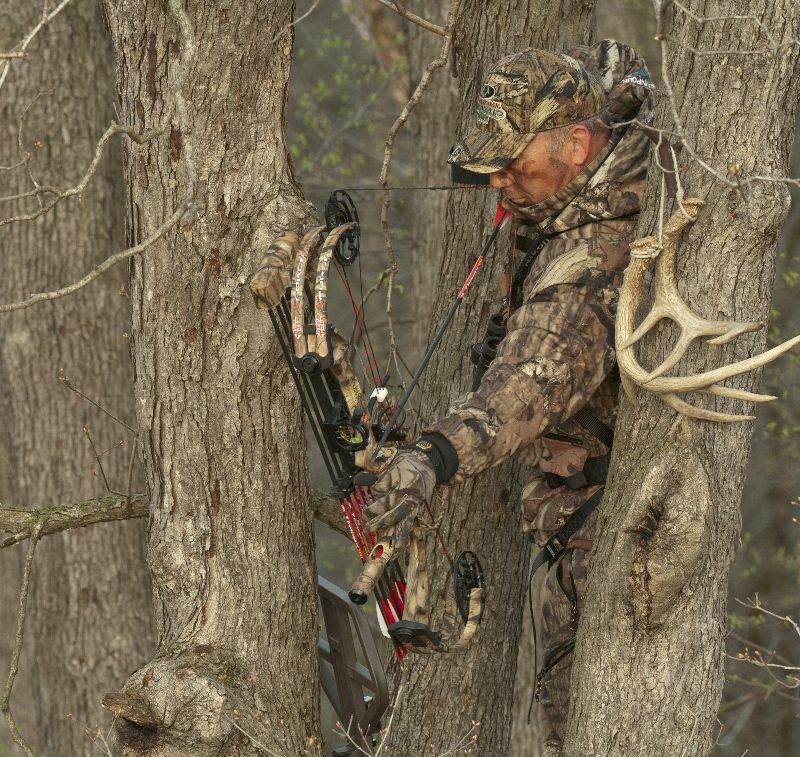 Two decades from now maybe we will see a more dramatic boost in the number of bowhunters, but don't expect to see a huge boost in bowhunting happening any time soon. #1. 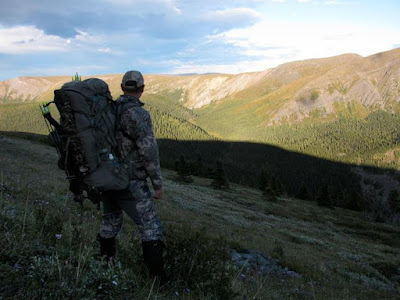 Hiking to get to your chosen hunting location (whether it be a treestand, ground blind, etc) while carrying all of your gear. This process alone will burn a good chunk of calories. The hunter will hopefully have set up their tree stand on a previous visit, but if not they will have to carry that too and go through the process of setting it up. In the case of a ground blind they will need to carry and set that up too. #2. Climb into your treestand or tree sling. You can see what a tree sling looks like below. 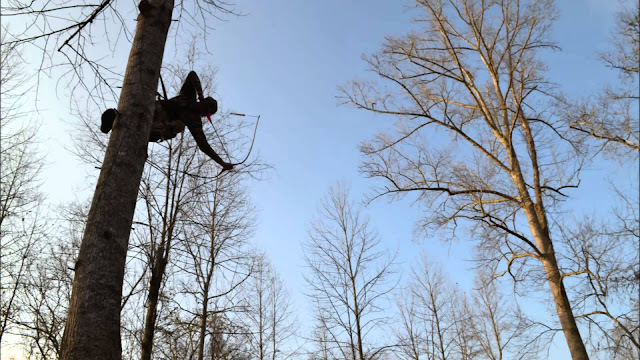 Tree stands are used because deer have a habit of not looking up, which means they wander closer to the hunter who is patiently waiting for a good distance to shoot. #3. Bowhunting requires a lot of practice shooting at different distances - for example most deer are taken at distances of 5 to 30 yards. 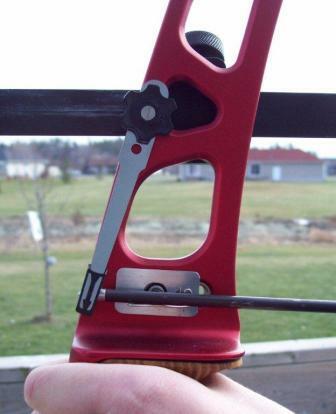 In Ontario bowhunters have to use a minimum of 39.7 lbs of draw weight when bowhunting to ensure the wound is fatal. Many bowhunters use 45 lbs or more however, just to make sure they are getting extra accuracy. This means they are building up more strength during their practices. #4. Carrying the dead deer back to your truck. Assuming you managed to get a buck or doe, you will still need to carry it back to civilization and have it butchered so you can eat it. Hunters use a variety of different ways to carry the deer. I personally like the traditional way, which is to tie the deer's legs to a long stick and have two hunters carry the stick on their shoulder. Some hunters simply drag the dead carcass, but it is arguably easier just to carry it. #5. Deer venison has a number of nutritional benefits, as do moose and elk. Compared to beef, venison has only 187 calories per 100 grams, whereas beef has 250 calories per 100 grams. Venison has less fat, more protein and more iron. Being a leaner meat it is automatically healthier for you to eat. Venison also is a good source of niacin, riboflavin and thiamin. 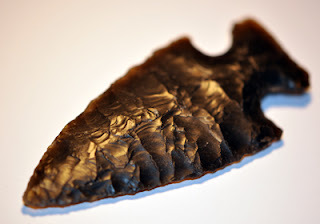 Rifle hunters have a risk of exposing themselves to lead poisoning from lead bullets, but bowhunters don't have that risk because you recover the steel arrowhead. Note - I don't have any moral issues with people bowhunting, as long as they are doing legally and they are eating what they kill. From my perspective it is admirable for people to be acquiring their own food the traditional way instead of relying upon slaughterhouses for the food. Hunting is arguably more humane than cattle being slaughtered because at least the hunter is killing the deer quickly. The same cannot be said for industrial farming. A huge theme in bowhunting is all about getting an ethical killshot. 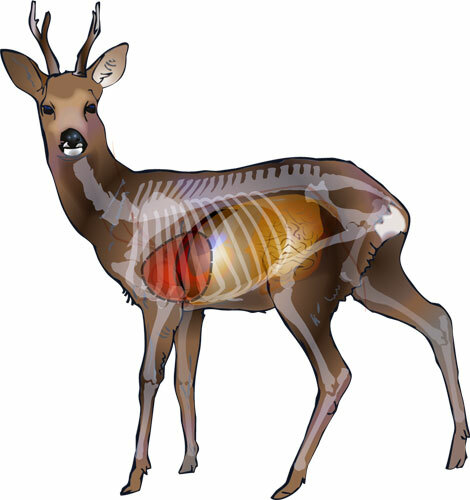 Bowhunters won't take a shot unless they know they can hit the lungs and/or heart of the deer they are shooting, this way they can be guaranteed the animal dies near instantly - thus ensuring it is ethical and humane. If you are thinking of getting into bowhunting I recommend signing up for archery lessons so you can ensure every shot you do is on target. Part of what I have been doing while I am working on my forthcoming book on the topic of recreational archery is trying to better define what "recreational archery" is. Often people try to define things by what they are not. Recreational archery for example is not competitive. This does not mean that archers cannot have a friendly competition, but they're not competing for prizes, trophies, etc. 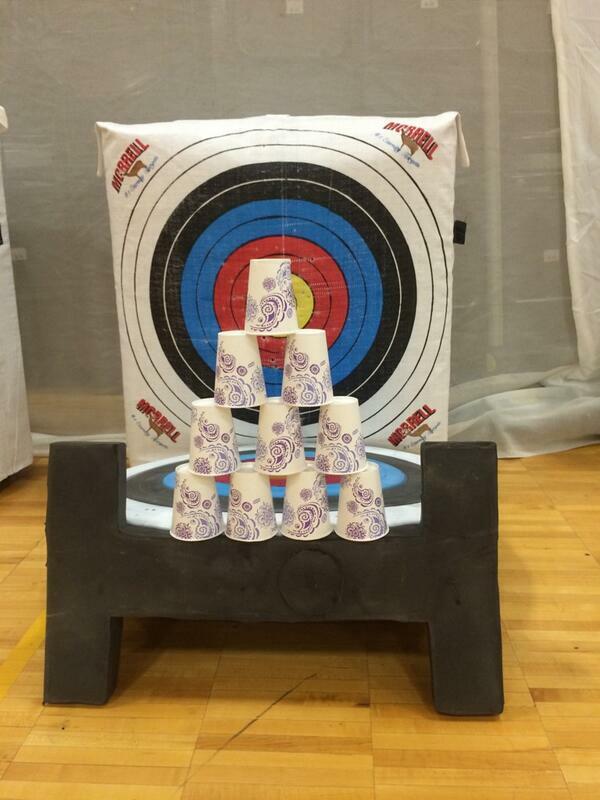 At most recreational archers might compete and the loser buys dinner. 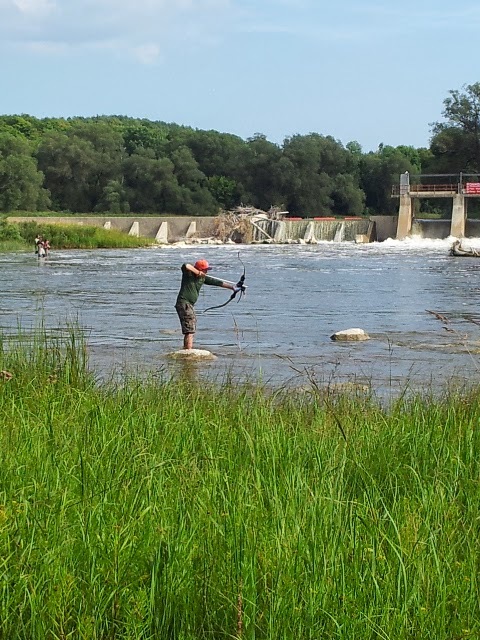 Recreational archery is also not done solely for the purpose of bowhunting or bowfishing. True, some bowhunters or bowfishers may engage in recreational archery as a form of practice, but if their primary goal is hunting or fishing then they are not really recreational archers, are they? They are primarily bowhunters or bowfishers, and they only engage in recreational activities with respect to archery as a matter of circumstance or habit in order to practice for the next time they go hunting or fishing. Now there is nothing wrong with wanting to compete or to use your skills to put food on the table (although there is something wrong with trophy hunters who don't actually eat what they kill). 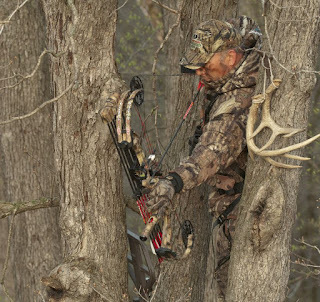 Choosing to get into competitive archery or bowhunting is really a personal choice. Yes, ego plays a role, as does a certain amount of bloodthirstiness in the case of hunting, but as long as people try to remain humble and actually eat the animals they are killing I don't have a problem with it. Recreational archery however is void of any attempt to compete for the sake of ego or to sate the need to hunt like our ancestors did. It is archery for archery's sake. 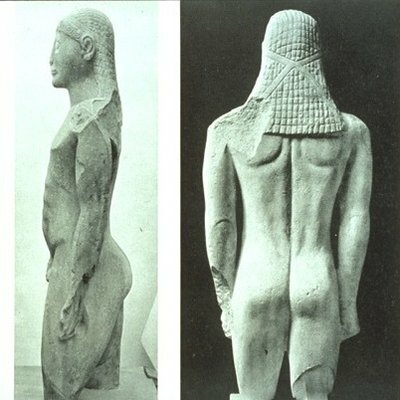 The joy of the ancestral tool and weapon, part of our heritage regardless of what part of the world we come from. The enjoyment people feel from just launching an arrow into the sky, like a rocket, and see it plummet back to earth and strike a target in the far distance is unlike anything you could achieve using firearms or pyrotechnics. 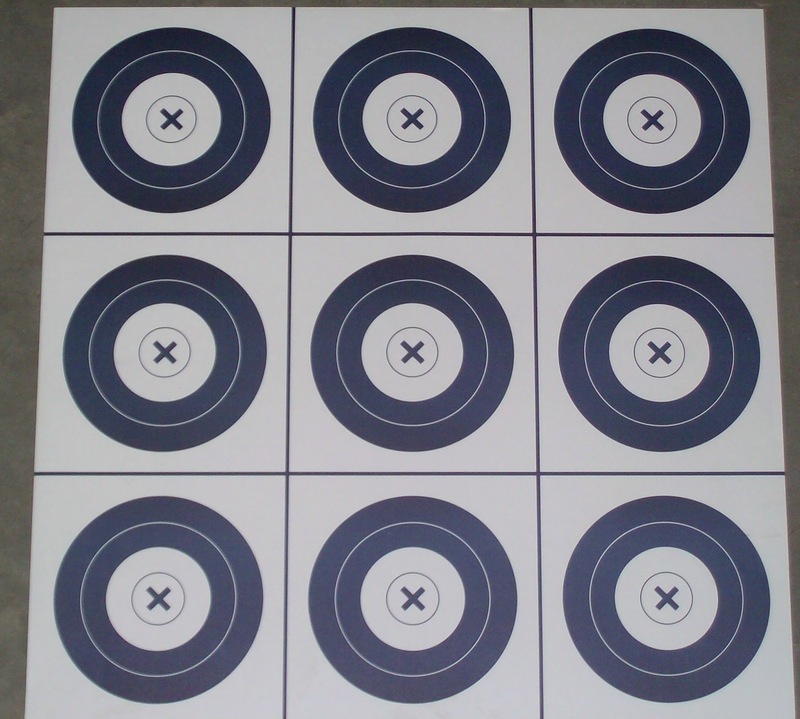 Yes, you could shoot the target with a rifle, easily, but where is the challenge? The rifle does all the work. You get way more enjoyment out of achieving something that you did yourself. 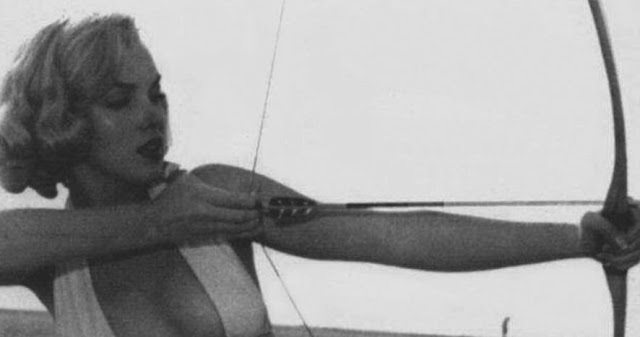 Your own power transformed by the bow into an arrow arcing forward and visually seeing it strike the target. Bullets go so fast you never see anything more than a flash of muzzle flare and a hole appear in the target. "The Witchery of Archery" as it was once called in a book published in 1878 brought archery back to the public eye as a recreational pastime. 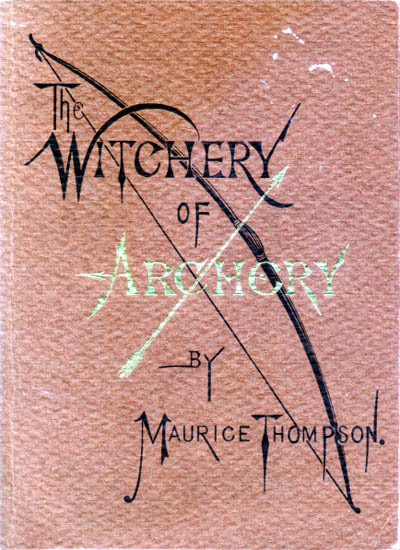 Written by American author James Maurice Thompson, the book's primary goal was to promote archery as a pastime, and while it did touch on bowhunting, most of the book was dedicated to recreational use and manufacturing techniques of making archery equipment. 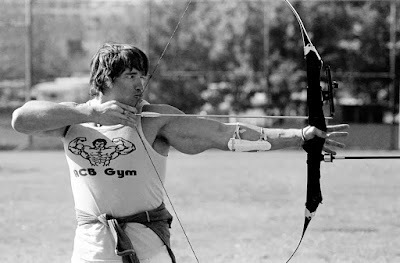 Thompson also wrote a 2nd book "How to Train in Archery", which dealt in both training techniques and also competitive archery in the form of the "York Round". Reading through both books you will however agree that Thompson's primary goals in writing the books was to promote recreational archery, as his manner of dealing with topics of competition and bowhunting were really aimed more at the percentage of archers who would like to get into those fields, while the vast majority of his books were aimed instead at recreational archers. There are many books that deal with the topics of competitive archery and also bowhunting - I know because I own many of those books. However what is sorely lacking is books on the topic of recreational archery - archery for archery's sake. And so to distill a definition of what recreational archery is, I think we have arrived at a conclusion: Archery for archery's sake is the best definition of recreational archery. 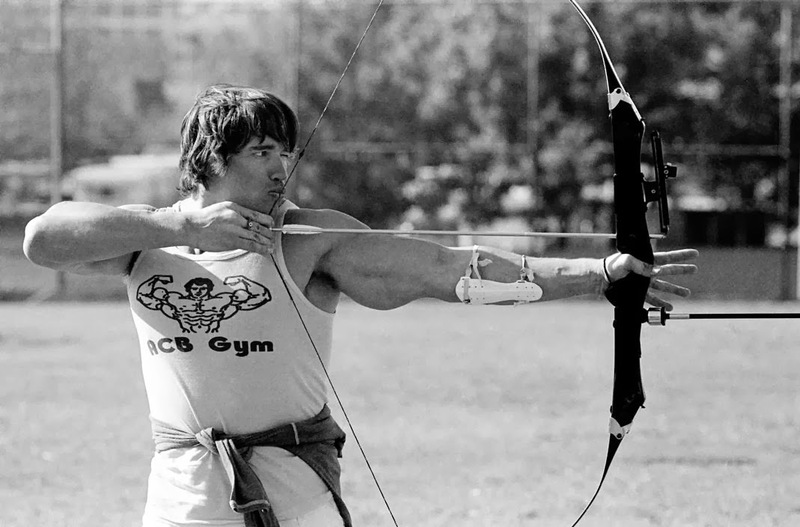 I can also argue that recreational archery is also the purest form of archery, that it is devoid of ego and bloodlust, but people would doubtlessly call me a hypocrite for saying such things because they would likely point to my past history of bragging and bowfishing. 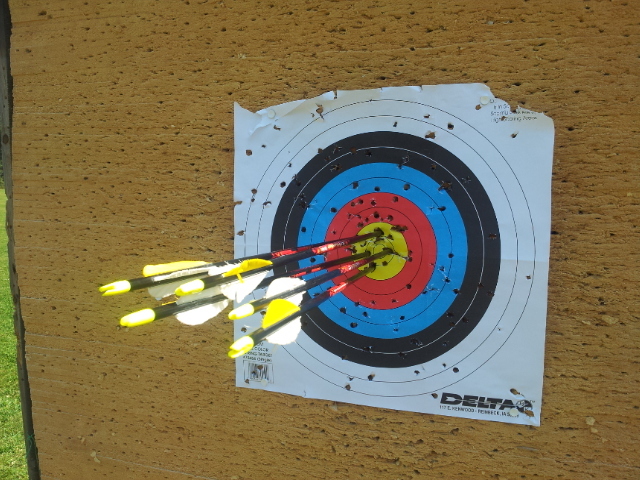 However I don't need to brag to enjoy archery, nor do I do need to bowfish. Bragging and bowfishing are not my primary goals when I do archery. Nor is bowhunting, an activity I have become increasingly fascinated with despite past affirmations that I would never take up bowhunting and had no interest in doing so. My opinion on bowhunting has softened somewhat in recent years and my curiousity to take it up is a personal choice I will likely make within the next year. So any argument from me about recreational archery being the purest form of archery is really me just being an elitist, trying to claim that recreational archery is superior to other forms of archery*. * Which I firmly believe it is. Bowhunting serves a purpose, to survive by killing an animal and eating its flesh. But archery is just a tool in the goal of shooting a beast that is typically within point blank range so they can get an ethical shot. The goal could easily be a achieved using a spear, an ingenius trap, or firearms. Olympic competitive archery is so focused at shooting 1 distance (70 meters) using one set of equipment (Olympic recurve bow with stabilizer, sight, clicker, etc) that if you ask an Olympic archer to shoot at something between 5 meters and 150 meters away, they don't know where they should even aim. Let alone asking them to shoot a moving target, shoot a stationary target while the archer is in motion, or even shooting a moving target while the archer is in motion. A recreational archer who is experienced at what they do can shoot at any target, regardless of the distance, regardless of how big or small, regardless of whether the target is moving. Why? Because they practice doing such things for fun. For fun. And that is why recreational archery is arguably superior to other forms of archery, recreational archers will try new things, they experiment, they like a challenge. They learn to read the wind, judge distances, time their shots on moving targets, and rely on their experience to make a well-placed shot rather than any kind of gadgets. They enjoy archery for the sake of archery itself, chasing perfection at every distance for every target. So am I an elitist for claiming recreational archery is superior? Maybe. If so, then I say so proudly. With a measure of bragging even. Does that make me a bad person? No. Not really. 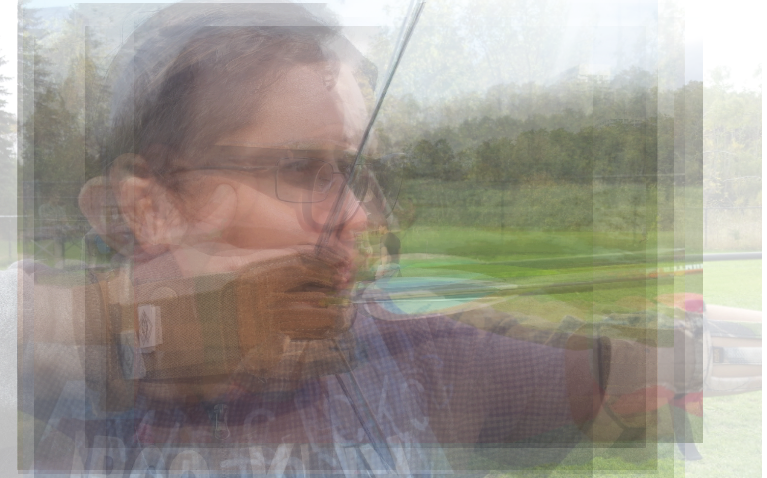 I am just very devoted to the sport of archery. Is that really a bad thing? I don't think so. I am a pretty good shot however, no bragging there - tis the honest truth. If you enjoyed reading this and love recreational archery be sure to bookmark and come back when my book is done and published. 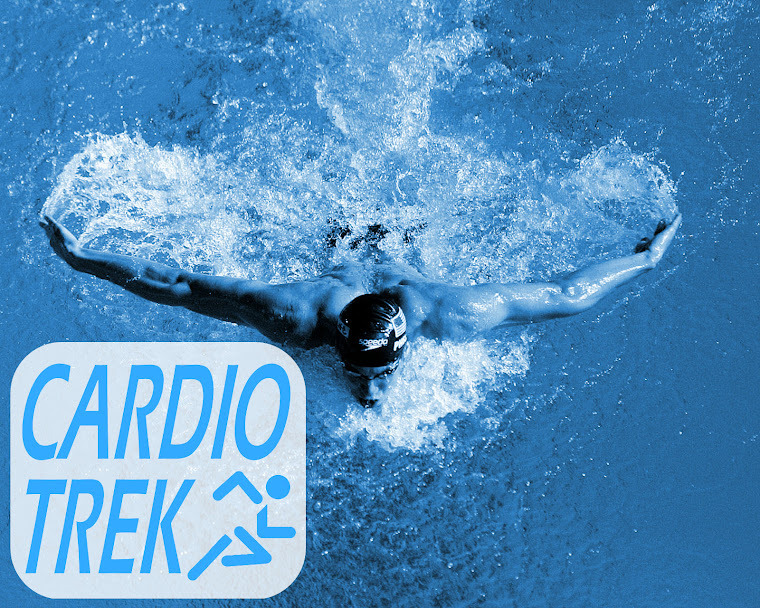 Subscribe to CardioTrek.ca if you want more free archery advice. Want to know what the number one mistake beginner archers do? The answer is: Not anchoring properly. So lets talk about this so people get a better understanding about what anchoring is and where they should be anchoring. First lets have a little mini glossary so people have a better idea of what we are talking about. Anchor Point - The point on your face (usually on your face) that you are pulling back to when preparing to shoot. It is usually a very specific spot and you want to be using the same spot - the exact same spot - every time you shoot. Cheeking - Pulling to an anchor point on your cheek, further to the side. Using this anchor point has a disadvantage in that you cannot see straight down the length of the arrow and when shot the arrow will end up going further to the side (to the left on a right eye shooter or to the right on a left eye shooter). [See Dominant Eye for Archery.] Cheeking effectively puts the arrow on an angle going more to the left or the right and when shot the arrow will fly more in that direction. 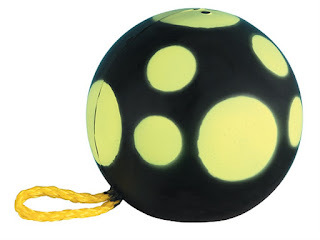 Note - Cheeking does give the arrow more power + speed, but it comes with a loss of accuracy. Clicker - A gadget used on Olympic recurves that tell the archer when they have achieved full draw. This device is only used in combination with South Anchor (see South Anchor further below). The archer pulls back to South Anchor as they prepare to shoot / aim and wait for the Clicker to slide off the tip of the arrow and make a click sound, at which point they release immediately after the sound of the click. Fishhooking - Fishhooking is when an archer is pulling to North Anchor (see North Anchor below) and is pulling the corner of their mouth further back in the direction of their cheek. 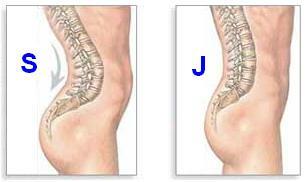 The end result is the same as Cheeking (see Cheeking further above). North Anchor - An anchor point located on or near the corner of your mouth, often either directly on the mouth, just above, or just below the mouth. 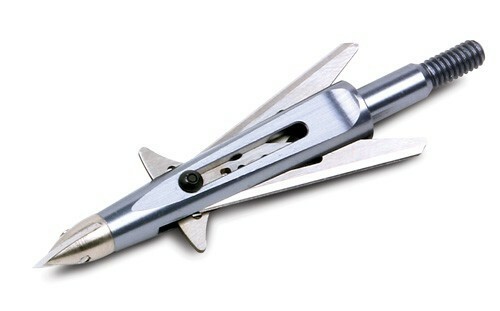 This anchor point is sometimes also called a High Anchor or the Traditional Anchor Point. Anyone using a traditional bow, such as a recurve, longbow or shortbow that doesn't have a Clicker (see Clicker above) should be using North Anchor as their Anchor Point. The reason why traditional archers use their mouth as an anchor point is because it is easier to remember as a landmark on their face, resulting in more consistency. If they are pulling near their eye, on their cheek, on their chin, etc, then there is less consistency because they cannot remember the same spot on their face as easily. Okay, so now that those are out of the way you will probably have an idea that Cheeking, Facewalking and Fishhooking are things you want to avoid doing. If you're either a beginner or a traditionalist then you should be pulling to North Anchor. 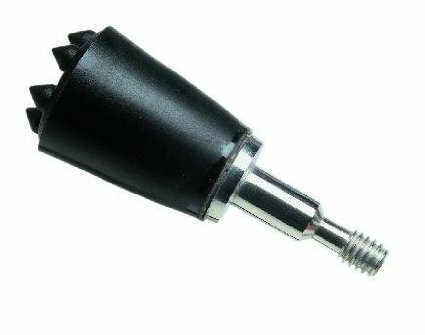 If you are getting into Olympic archery and you have a Clicker installed on your bow, then absolutely, you should be using South Anchor. Katniss using South Anchor, she should be using North. Thus a very common mistake is for people to use South Anchor, but with no Clicker. The result is inconsistent draw distances because they are just guessing as to where to be pulling to on their chin/jawline. It also causes inconsistency left-right because they are pulling the same distance on the side of their jawline. You can see this failure in films like The Hunger Games in which Katniss pulls to South Anchor when using a longbow and again later with a recurve that has no clicker on it. Having this in a film then perpetuates false information that this is a good place to be anchoring with a traditional bow - which it is not. 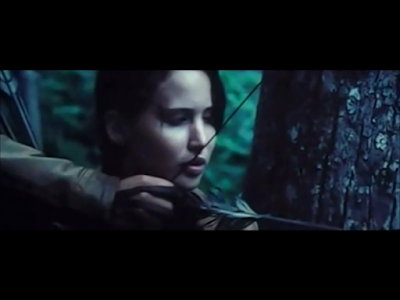 Katniss should be using North Anchor, but the filmmakers don't know any better. On the right you will see a woman who isn't anchoring at all. She is just pulling back the bowstring off the side of her face. She cannot see down the length of the arrow and is really just guessing as to where it might go. Another way of not anchoring is to be pulling back the bow, but not pulling it back all the way to your face. This is essentially a partial draw, but it is also a failure to anchor properly. You can see this as demonstrated by Marilyn Monroe in the photo below. Another common mistake I have seen beginners do is trying to anchor near their eyeball, either right in front of their eye, right below their eye, or to the left or right of their eyeball. I even once saw a beginner trying to anchor on his forehead. Pulling to the side of the eyeball near the temple produces results similar to Cheeking (as explained further above), whereas pulling straight to the eye, under the eye, or even to the forehead will result in a person having to aim above the target in order to hit the target, and will also result in inconsistency because they cannot remember where they are pulling to precisely (or where they are aiming, because they are aiming above the target and cannot see the target itself because the arrow is in the way). So in conclusion, always anchor - and always use an anchor spot where you can get a lot more accuracy. To learn more about this topic read Instinctive Archery Vs. Anchor Points. 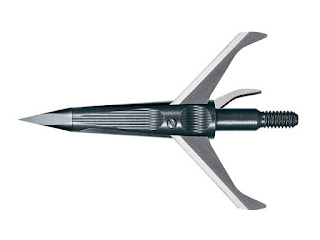 "Which broadhead is best for bowhunting?" This question is asked so often that people on bowhunting forums openly make fun of it in the form of memes like the one on the right. Pros - Best penetration. Best when using a traditional recurve or longbow. Easy to resharpen. Cons - Resharpening the blades is a necessity. Blade width often small diameter. Flight accuracy reduced due to planing. 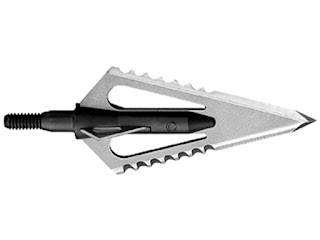 Some fixed blade broadheads are designed so the blades can be replaced, but not all. Pros - Good penetration. Easy to replace the blades. No need to sharpen. Cons - Replacing blades constantly can be expensive. Small blade diameter. Flight accuracy reduced due to planing. 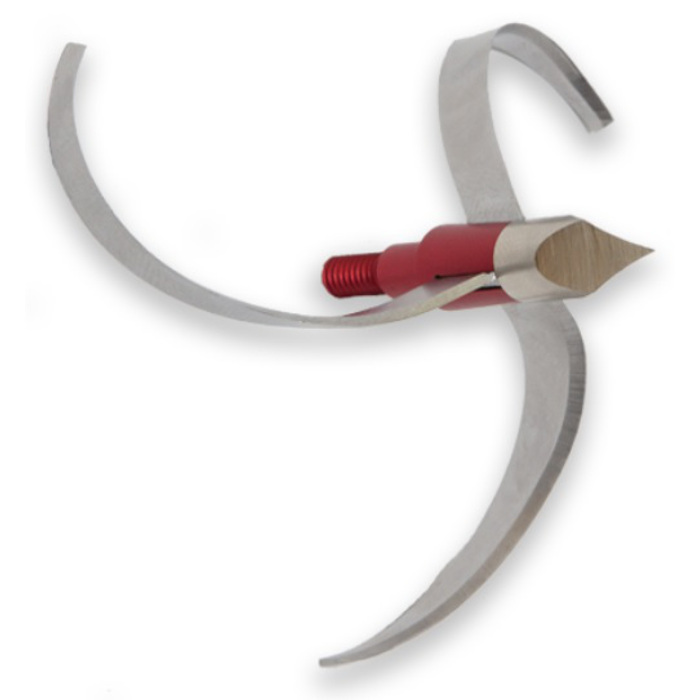 Pros - Larger diameter blades. Less planing = more accuracy. Blades are replaceable. Cons - Low penetration. Sometimes difficult to remove/replace blades. Replacing blades constantly can be expensive. Blades break easily. Sometimes fails to open, resulting in less cutting width. Pros - Decent penetration. Larger diameter blades. Less planing = more accuracy. Blades are replaceable. Cons - Sometimes difficult to remove/replace blades. Replacing blades constantly can be expensive. Blades break easily. Blades can sometimes open when bumped or during flight, resulting in a loss of accuracy. Pros - Very cheap. Reasonably easy to make yourself once you get the hand of it. Reasonably sharp. Cons - Breaks easily. Dulls or breaks after repeated use. Pros - Cheap. Razor sharp edge is easier to achieve. Keeps its edge longer. Doesn't break easily. 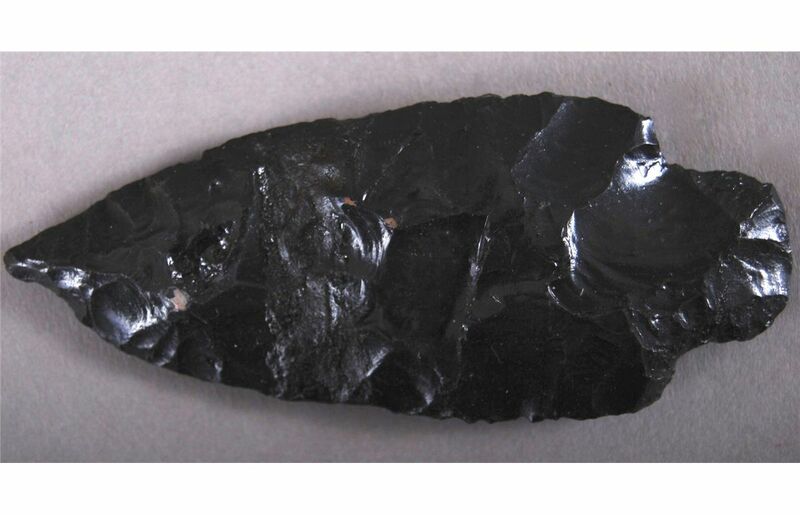 Cons - Harder to flintknap than flint arrowheads. Harder to find obsidian. Pros - Extremely cheap to make. Easiest to flintknap. 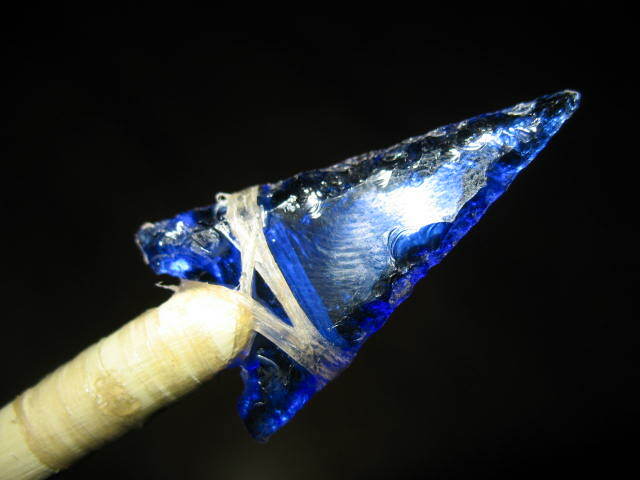 Glass is more readily available than flint or obsidian. Different colours of glass available for aesthetically pleasing arrowheads. Keeps an edge reasonably well. Easy to replace if it breaks. Cons - Breaks very easily. Then there is the matter of what you are shooting at... 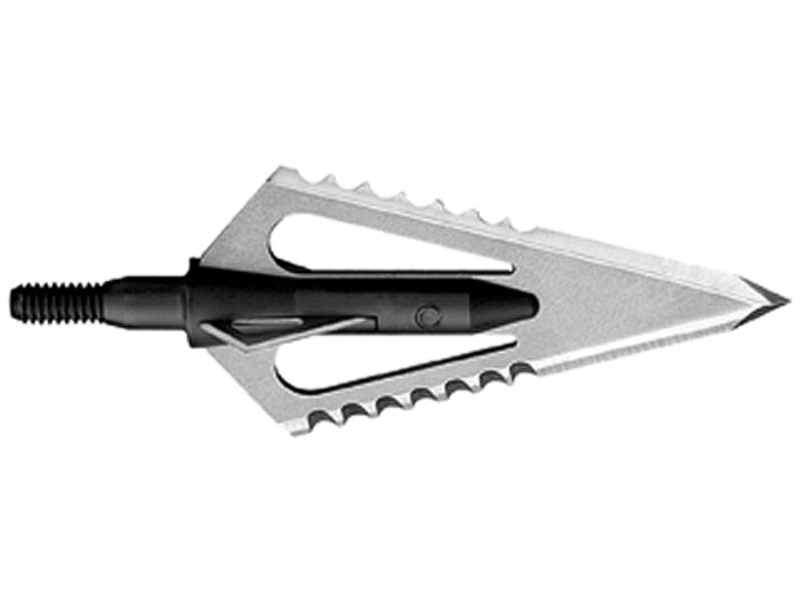 Some broadheads are designed for specific animals, like blunt arrowheads designed for small game or turkey broadheads with the extra wide blades. Bowhunters argue back and forth on bowhunting/archery forums about the pros and cons of all the various different styles of broadheads. Ultimately what is "best" is whatever the individual bowhunter decides is best for them, their bow and their chosen target. 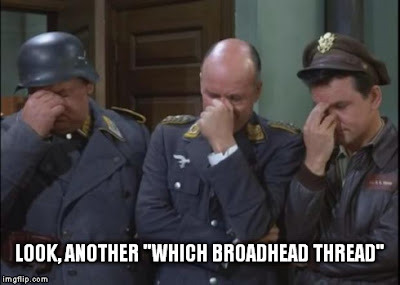 After all there is no 'one sizes fits all broadhead'. I will say however that the 3D target below of a Jackalope is just plain awesome. Happy shooting! 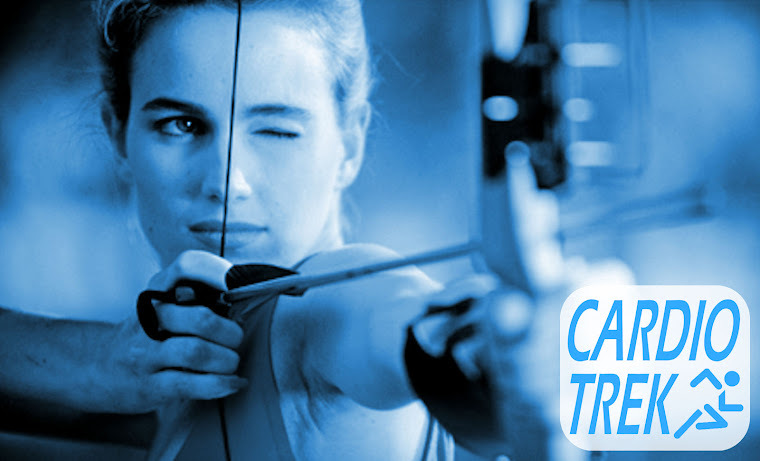 Summer is almost here and many parents are doubtlessly looking for archery summer camps for kids, archery day camps within Toronto, archery lessons for kids in Toronto... basically anything to do with archery in Toronto for kids. #1. I don't teach children under the age of 10. I have my reasons for this, chief amongst which are the level of maturity, attention spans, ability to follow instructions I expect from students - especially with respect to safety. #2. I am not cheap. 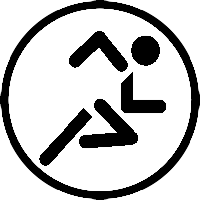 As a personal trainer I currently charge $50 per hour for my personal training services, and similar rates for my sports training services. An 1-on-1 archery lesson is typically $60 for 90 minutes on a weekday morning/afternoon or $80 on a weekend / weekday evening. #3. I book up fast, especially on weekends and weekday evenings. Why do I book up so fast? 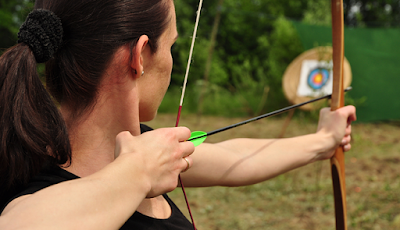 People started prebooking for archery lessons in 2015 back in July 2014. Some archery students keep coming back for more. Some archery students prebook 3, 5 or 10 lessons all at once. 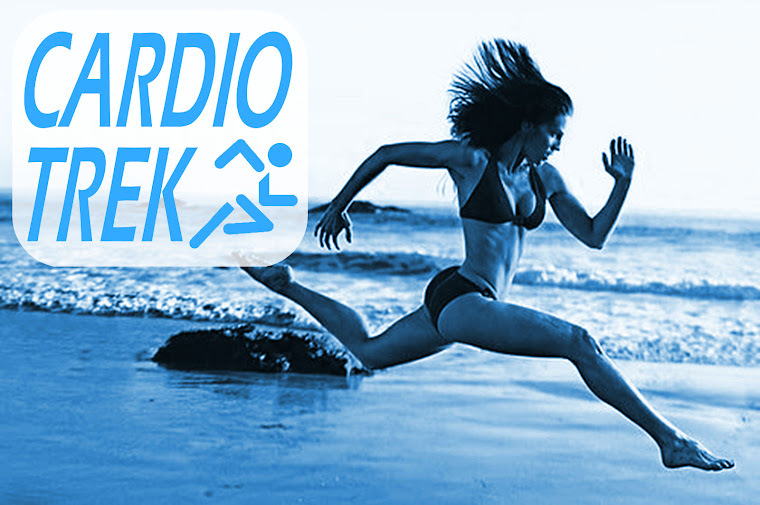 Weekends and weekday evenings are in short supply and are the most desirable time slots. So, with these 3 factors in mind I know there will be a lot of parents who are disappointed that I cannot teach their 8 year old for a cheaper rate "this weekend". Sorry, fully booked + your kid is too immature + why would I work for less than what other people are paying? For approx. $100 to $300 you can buy everything your kid needs to practice archery - including a bow, 6 to 12 arrows (more is always better), shooting glove or tab, bow stringer, etc. For a higher quality bow go to Tent City in North York (near Steeles and Dufferin) and expect to spend $200 to $300 for everything you need. For a more average bow go to Bass Pro in Vaughan and expect to spend $100 to $250. For a very cheap children's bow go to a Canadian Tire that offers archery equipment (not all Canadian Tire stores sell archery equipment) and expect to spend $30 to $60 on a very cheap children's bow + the cost of extra arrows. 1st Note - I do not recommend buying kids used archery equipment. 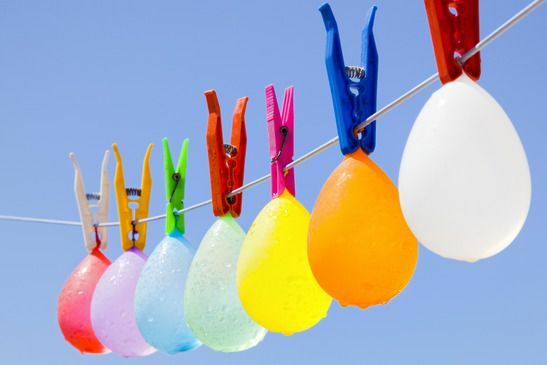 Often they won't be the correct size for your kid and will be largely unusable. Plus the equipment might be damaged in some way that you, as a non-archer, would not be able to recognize. 2nd Note - You might also think it is possible to rent archery equipment, but honestly I only know of one place that does rentals - and I don't know how reputable they are. I do however know they require a damage deposit, as beginners often break arrows easily. So I don't recommend rentals. 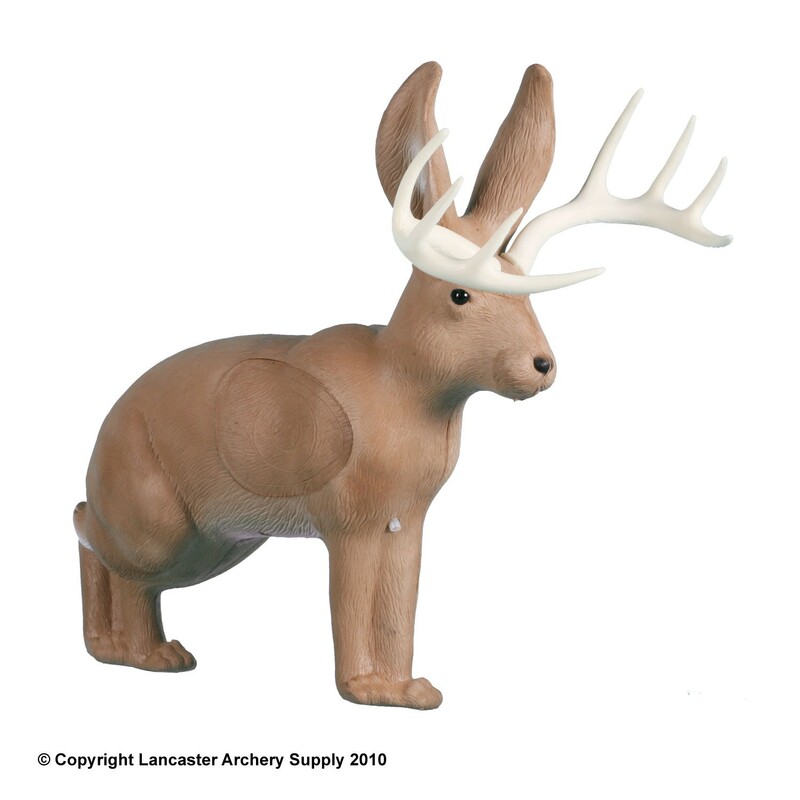 There are plenty of YouTube videos and DIY archery equipment websites out there for people wishing to make their own archery equipment. 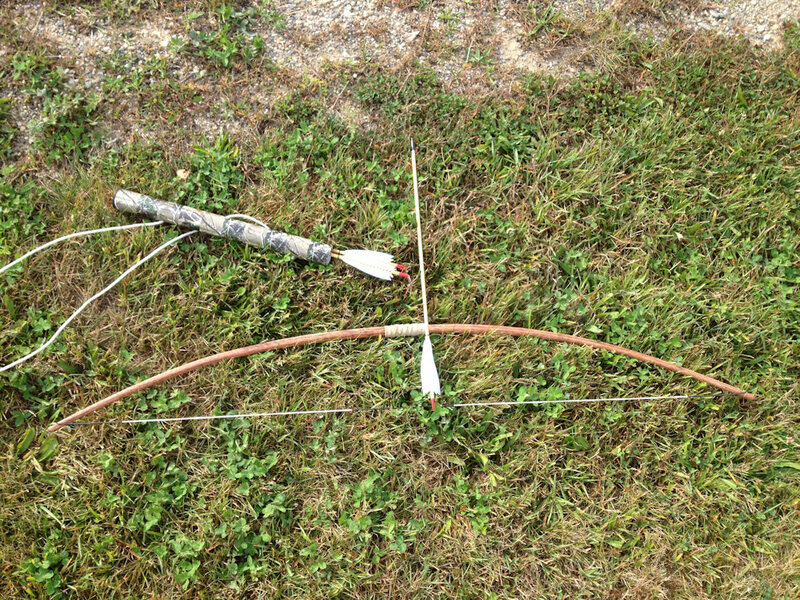 Easy option is to make a simple stickbow out of a hardwood branch and some twine, but don't expect it to last very long. Typically, the best bows are those that take the longest to make so a little extra effort is required to make a bow that shoots well. 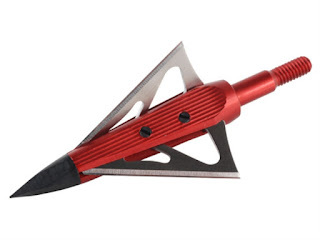 Regarding arrows you may want to still purchase arrows (see Tent City or Bass Pro) as arrow making can be quite time consuming to get perfectly straight well-fletched arrows. Alternatively you can buy dowels from either Canadian Tire or Home Depot, or you can try making your own dowels for arrow shafts but be forewarned that it will not be easy. Toronto has quite a few archery tag locations available, including one location that sometimes offers archery lessons for children under the age of 16 (Battle Sports in North York). If your kid is over 16 your kid and you (possibly your whole family if they are all over 16) could sign up for an hour of archery tag. Note - Battle Sports in North York is the only location I currently recommend if you decide to go the archery tag route. If you visit ArcheryToronto.ca the website has a list of archery summer camps or day camps that are either in Toronto or near Toronto. However I should warn you right now that many of these camps will already be fully booked (completely fully booked), but I suppose you could always try to contact them to see if they have had any cancellations or can fit one more kid in. 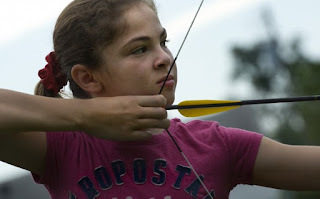 I should also mention that archery instructors at camps basically only teach your kids the safety rules, so be forewarned that your kid may be disappointed by their lack of skills as they will have numerous bad habits that camp instructors won't bother to recognize or try to teach them how to avoid those mistakes. Your kid will doubtlessly have fun at camp, but may end up disappointed if they were expecting to be able to shoot like Katniss Everdeen, Hawkeye or Green Arrow in a hurry. In conclusion if you are looking for archery lessons in Toronto, absolutely, contact me if your kid / you want archery lessons. However I must warn you may need to prebook for either August, September or October, or possibly even prebook for 2016. Good luck in your archery endeavours and may your arrows always fly true.